Advancements in technology have allowed us to capture precious moments and milestones in our lives that we hope to cherish forever. But camera equipment can be quite pricey, so it’s only practical for professionals to offer their services for high but reasonable rates. 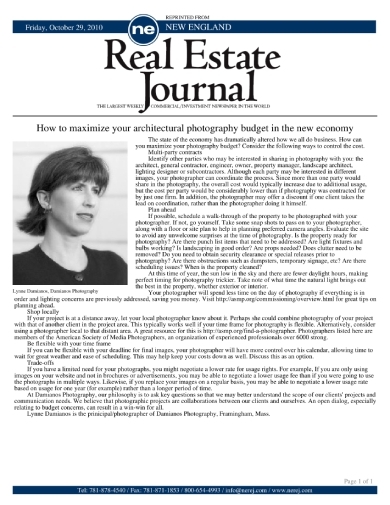 Thus, photographers and clients are encouraged to agree on a photography budget that will benefit both parties to ensure that a shared objective may be met. A budget should give each party a better understanding of the expenses required to carry out a given service. Photographing buildings and other similar structures is a common craft in the fields of photography, engineering, architecture, and real estate. Architectural photography was initially used to record the works of an architect in the most aesthetically pleasing way possible. The need to capture and immortalize one’s work is essential to draw attention to their skills and craftsmanship in the given profession. However, architectural photography can be both tricky and costly for a professional considering the amount of work it requires. Knowing how to maximize your budget without sacrificing the quality of your work is extremely important in these trying times. Organizing an event can often burn a hole in our pockets, considering the long list of to-dos that need to be accomplished in order to bring a vision to life. This is one of the reasons why setting a personal budget is the way to go. 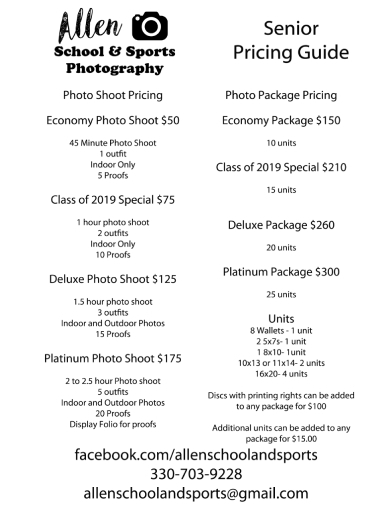 Many businesses that offer photography services to a consumer market look for ways to meet the needs of their clients by offering photography packages that are within their financial reach. A budget-friendly photography package should consist of the basic services that are priced at a reasonable amount for clients to enjoy. This should make it easy for a person to choose which package would suit their preferences the best. Ever since the innovative creations in technology have reduced the widespread use of film, digital photography has become pretty popular in several industries. Unfortunately, the cost of a camera and its array of accessories have also increased due to the functions they are designed to serve. 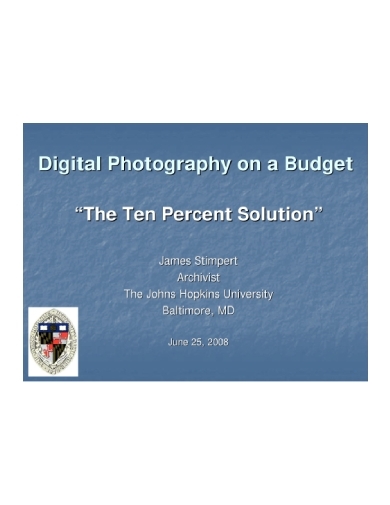 But insufficient funds and the lack of equipment should never be a hindrance to your capabilities, which is why experts suggest using a few techniques to aid digital photographers who are on a budget. This will guide you in capturing shots for your photography portfolio, without breaking the bank. A lot of people still practice the century-long tradition of taking annual family portraits for their mantle. But rather than using hand-painted pieces, photographs are taken and framed in a studio as a modernized approach. Whether you need a photograph for a Christmas greeting card or to display at your home, it’s important to set a budget that will get you what you need. 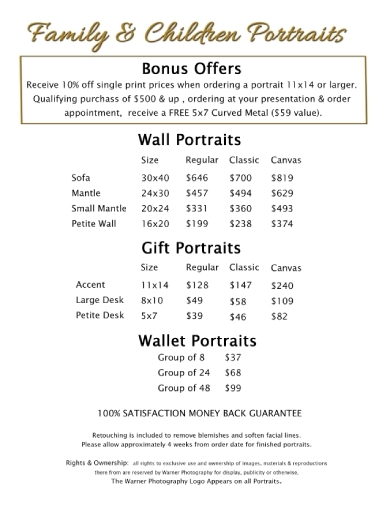 Shown above is a price list of offers that are designed to meet the average budget of a client. This should answer common questions that customers may have regarding the offered services. When collaborating with another party on a business-related project, a budget proposal is made to ensure that the client or investor has agreed to the terms and conditions that were set. 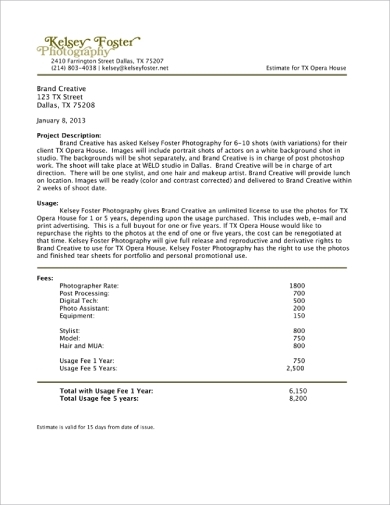 A proposal is also used in the field of photography to show what a photographer’s professional services cover. 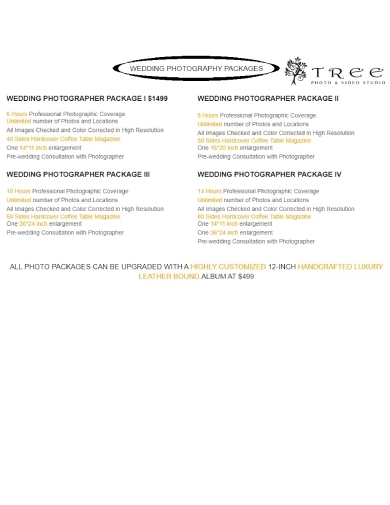 This includes the planning, designing, and execution of a photo shoot according to what a photographer was hired for. Since the proposal is still subject to a client’s approval, both parties may still negotiate on the costs until an ultimatum is made. It’s always good to provide your clients with a breakdown of your proposed budget to show how you were able to generate the said amount. This is especially important for companies that outsource their graphics to save on costs. The budget plan should contain a list of what your services will cover, which include the time, travel, and post-production services that will be rendered during such an instance. Photographing athletes in the field can be difficult for most amateur photographers. This is one of the reasons why public schools and corporate organizations sometimes hire a professional to capture the shots for their company magazine or newspaper. Team photos and class portraits may also be taken for the school’s profile. 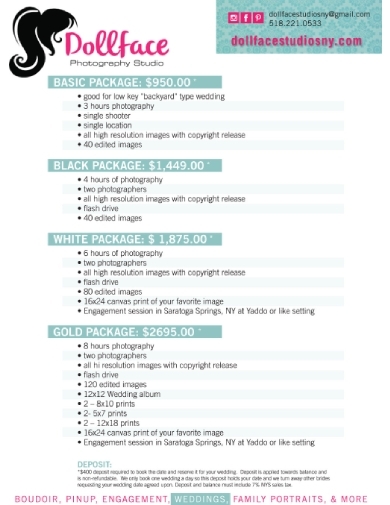 To stay on budget, group packages are provided to clients who might be interested in what the studio has to offer. Hiring a photographer to cover the highlights of your wedding can often cost more than a store-bought camera, but for good reason. From prenup shoots to same-day edits, it’s only sensible for couples to be more generous with their photography budget. 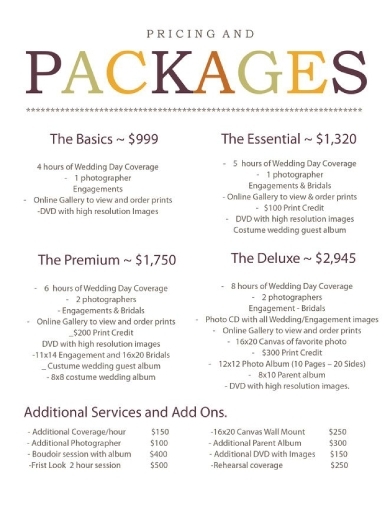 Fortunately, there are many studios that offer wedding photography packages that are easy on the wallet. This allows the business to meet the wants and needs of a client based on what they can afford. But because negotiations are highly unlikely, learn to prioritize your expenses to make sure that your finances are properly allocated for each of your priorities. 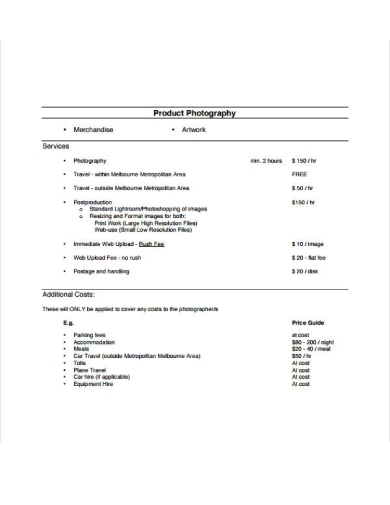 One of the things that photographers struggle with the most is their ability to price their services according to their professional capacity, industry standards, and market demands. So to help you determine the pricing standard that suits you, it’s important to consider how your earnings will be used. Establishing a budget should provide you with an idea of how much you need to make a good profit every year. 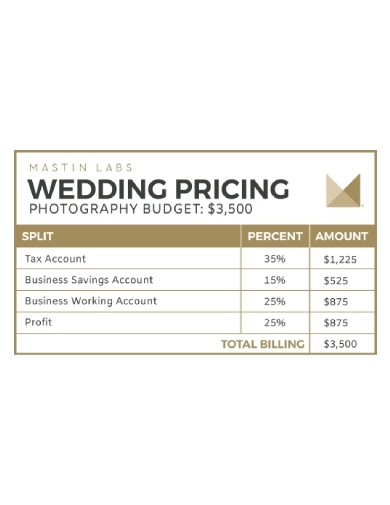 One of the things to include in your wedding budget is your photography budget. Studios that specialize in these services usually prepare a list of offers for customers to choose from. These are perfect for couples who are in a tight budget but still want to invest in high-quality service. The list should contain the necessary information that clients might want to know, while also taking one’s average budget into account.